Fisheries and Oceans Canada is also monitoring the unusually large bloom, which has already resulted in the closure of one fisheries area off Vancouver Island just north of Tahsis. But DFO scientist Ian Perry said most areas are not at levels that would raise health concerns. Levels of domoic acid in California's Monterey Bay are some of the highest scientists have ever observed, Raphael Kudela, professor of ocean sciences at the Santa Cruz campus, said in a statement. "The domoic acid levels are extremely high right now in Monterey Bay, and the event is occurring as far north as Washington state," he said. "It appears this will be one of the most toxic and spatially largest events we've had in at least a decade." Researchers are concerned that shellfish and other marine life, including razor clams, crabs, hake and West Coast sardines, could have elevated levels of domoic acid, a neurotoxin that causes amnesic shellfish poisoning, also known as ASP. Unlike the more common PSP syndrome, which is resposible for shellfish closures off the coast of B.C. in the summer months, ASP also affects fish, which can then poison humans and other mammals that eat the affected fish. The acid has been responsible for several deaths and has sickened more than 100 people, according to the Washington state Department of Fish and Wildlife. Fish and shellfish can accumulate the toxin without ill effect, the agency said, but in humans it crosses into the brain and interferes with nerve signal transmission. Earlier this month, Washington authorities closed crab fishing from the border with Oregon through southern Washington because of elevated marine toxin levels, the agency said in a statement. This week, a team of scientists set out from Oregon in a National Oceanic and Atmospheric Administration research vessel to study the bloom, the agency said on Tuesday. 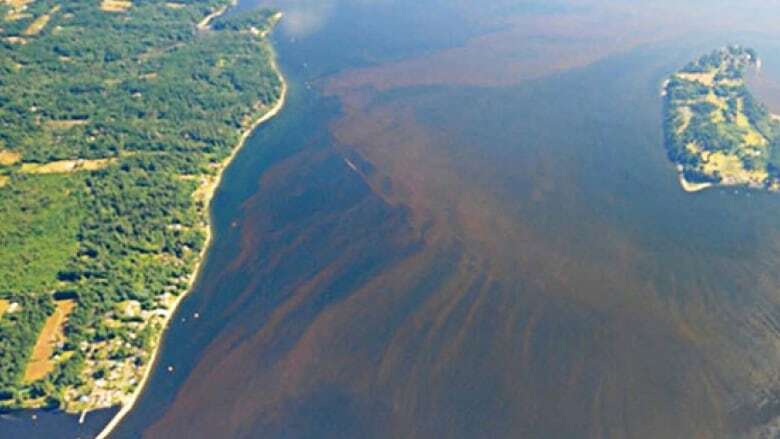 Scientists will try to determine whether the massive size of the bloom is linked to this year's warmer-than-average water conditions from Washington to Southern California, the agency said. The ship will sample water from the Mexican border to Vancouver Island, the Seattle Times reported.